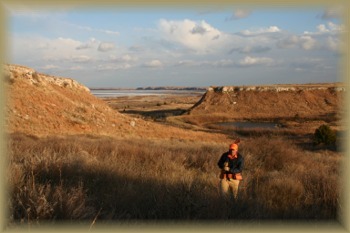 The Selman Ranch Lodge will offer you a quality hunt unlike no other you will ever experience. The beauty of our land, with 10 miles of creek bottom; gently rolling sagebrush covered hills, abundant cover, food to sustain our wildlife and abundant wildlife will provide a memory to last a lifetime. Whether you are interested in hunting Deer, Wild Quail, Turkey, Dove, Pheasant or Waterfowl, your experience will be one to remember and one you will wish to relive. Use the buttons to your left for more detailed information on the types of hunting we offer at the Selman Ranch. We would like to Thank Ben O. Williams for his assistance in writing the "Selman Ranch Bird Hunting Guidelines and Code of Ethics". We would appreciate every guest taking the time to read over these guidelines. Our pricing is located on our Pricing page which can be found via our button up above.